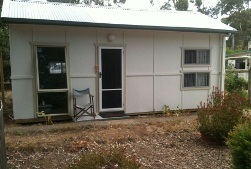 Welcome to Glastonbury Hermitage, located at Shoreham on Western Port Bay side of Mornington Peninsula, Victoria. I’ve been here since the beginning of May 2012 after six years at Ellenborough. Built from an old work shed the hermitage was constructed over three weeks with very generous friends to whom I am deeply grateful. Flowing from a formal process of discernment, “The Cliffs”, at Shoreham an hour and a half south of Melbourne, is my home now. For those who know the beauty and richness of Ellenborough, NSW and the proximity of the hermitage to the river, “The Cliffs” overlooks Westernport Bay and in the distance Phillip Island. For retreatants, anyone wanting some solitude and silence, and for those seeking spiritual accompaniment there are two self-contained cottages with stunning views of the Shoreham Foreshore Reserve and Bay. This sea-change, away from rural Ellenborough, manifests outwardly the inner movements of a heart given over to the leadings of God.